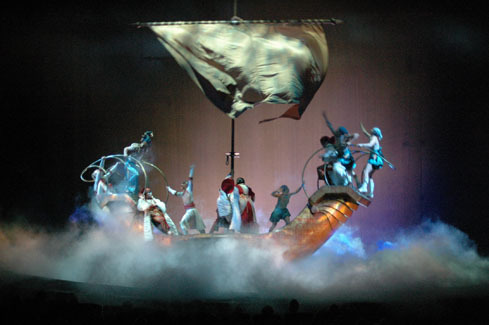 If your production uses theatrical smoke or haze, you may be required conducting testing to determine whether its use is in conformance with Actors' Equity Association (AEA) guidelines. Depending on the type, number, and complexity of your effects cues, this testing would be conducted either during a performance or during a work call. 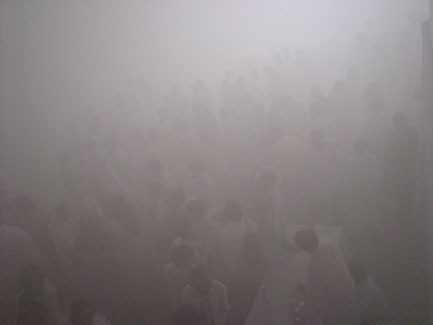 If cues are identified where the fog or haze levels exceeded AEA guidelines, J&M can work with you to develop an alternative means of achieving the desired visual effects while reducing exposures hazards to your performers and personnel. Among the major concerns with glycol, glycerin, and oil fogs are the peak levels. 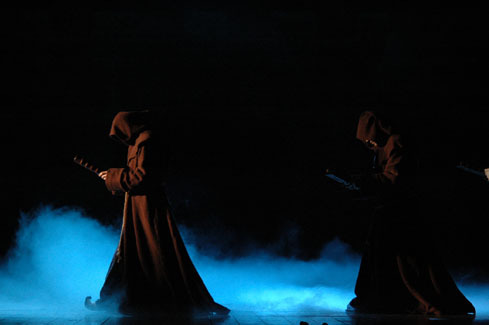 the report, “Health Effects Evaluation of Theatrical Smoke, Haze, and Pyrotechnics” written by researchers from the Mt. Sinai School of Medicine and ENVIRON International Corporation for Actors' Equity and the League of American Theatres and Producers, concludes with the recommendation that performers' exposure to glycol fog should not exceed 40 mg/m3 and that the exposure to oil fog should not exceed 25 mg/m3. Because peak levels are a major concern, only a device that measures and reports real-time readings is appropriate, and only aerosol monitors do this. ESTA has selected the personal DataRAM (pDR-1000AN) aerosol monitor for monitoring peak glycol and mineral oil fog levels. The world’s smallest and most versatile direct reading personal aerosol monitor, the personal DataRAM measures mass concentrations of dust, smoke, mists, and fumes in real-time, and can sounds an on-board audible alarm whenever a user-defined level is exceeded. Integral large-capacity data logging capability permits storage of 13,000 data points in up to 99 discrete tags. When used in conjunction with the Environ’s “Theatrical Smoke, Fog, and Haze Testing Calibration Factors” this kit allows you to make sure your production's fog and haze effects are within AEA guidelines. A complete kit of testing equipment and appropriate documentation in addition to testing services are available for rental or hire from J&M. We also carry CO2 and O2 monitoring equipment if needed for your production. Give us a call and talk to a J&M Sales Rep or Project Coordinator the right equipment and testing for your show today!